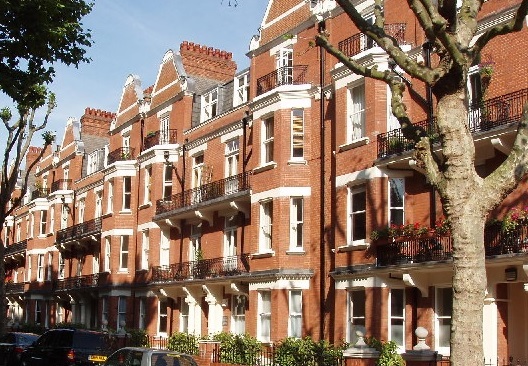 A client agreed a deal yesterday in a block in Maida Vale. This block in my opinion is under-priced for where and what it is. The location is Maida Vale W9. The price is a touch over £600 per sq. ft., which is exceptionally cheap. One of the reasons is that it has been popularly accepted as an ex council property from time immemorial by local agents, and, therefore, often perception and reality intermingle and perception becomes reality. Having transacted three in this very same block, we can for sure, on the authority of the lawyers, say this is not an ex council and never was an ex council property. Not that a label should have this much influence over the price of a property in the first place. The flat is within a secured gated development, has large green areas and comes with its own allocated parking space as well as being share of freehold. It is managed extremely well, the reasons being is the manager lives in the block, therefore, you do not get the hands off impersonal management you see in most other blocks. an ample three bedroom in this flat, perhaps something to ponder on for a later date. Following last week’s article, a question was posed by the purchaser regarding whether his son could live in the property at a later date if it could not be rented. There is only one way a property like this cannot be rented; that is if the landlord dictates an unreasonable amount of rent rather than accepting what the market says. Otherwise, there is no reason why a property properly priced, in the right area, should not rent within a week or two at the most. I advised him to use this property as a hedge and to rent elsewhere. The expected uplift on this property will more than cover the future rental expenses. The client will be requiring a mortgage. I spoke too soon when he asked me how much he would need to put down on the deal, I assumed it was 30%. The truth is the mortgage LTV’s have shifted, and when purchasing properties now the rental cover has increased to 145%, this renders the LTV useless. The ceiling on how much one can borrow is governed by the amount of rent you can get from the property, and has little to do with the purchase price. Further research shows the amount required to be put down on this property will be more like 40%. A lot of analysis has gone into the research for this property, including previous sales figures and how much they have increased by. It is interesting to note the increases previous properties we have sourced have experienced. For example, two properties which we sourced for a client were purchased in 2010 and 2012. They were bought for £315,000 and £285,500 respectively. They have, on average, increased by 8% per annum. If you look at the increase on the cash invested, it comes to 31% per annum. The latter figure will drop slightly, as more cash will be required to put into the deal. However, the environment is very flat at the moment and, therefore, the entry price is relatively low. This Maida Vale deal, is a deal which is expected to mature very nicely and the perception of this block will also change over time. Do get in touch if you would like us to source you similar deals. Q: My tenancy is coming to an end. Should I renew the agreement, or should allow my tenants to run onto a month by month tenancy? A: For most landlords this is an age-old question so let’s start at the beginning. Most Assured Shorthold Tenancies (AST) start off with an agreed fixed-term. 6 months is common, which is the minimum term for an AST before a landlord can apply for possession. AST fixed terms should not normally exceed 3 years as other legal considerations are involved. They can be drawn up for any period for less than six months, but the landlord cannot gain possession until a minimum of six months has elapsed unless the tenant surrenders the property of their own free will. A periodic tenancy or monthly rolling agreement means that the terms of the original agreement still stand but it has no end date; it simply means that the agreement will keep on going until either party bring the tenancy to an end by giving notice. The fixed-term gives both parties some security as to the length of time the tenancy will last. You can rest safe in the knowledge that you will have rent payments being made for the whole fixed-term period and on the other hand your tenant can rest safe in the knowledge that s/he has a home for the full tenancy period. At the end of each period you can arrange to renew and increase the rent for a further locked in term. Most experienced landlords let their properties initially on a 6 month fixed-term, unless there are exceptional circumstances most would feel it is not wise to let for longer than this minimum period until the tenant has proved themselves. Only after this would the experienced landlord consider a longer term, say 12 months or more. When the initial fixed-term ends many landlords prefer to allow the tenancy to lapse into a statutory periodic one, rather than have the tenant sign up for another fixed-term. The last thing the landlord wants is to lose a good tenant, so leaving the tenant alone and allowing the tenancy to become periodic can often be the best strategy. This also benefits the tenant, as landlords with long term tenants often leave the rent at the original amount for extended periods, again in the belief that increasing the rent may result in a good tenant leaving them. Landlords often take the view that losing a little each month on a lower rent, not only encourages the good tenant to stay on longterm, it is far less of a loss than the expense and risk involved in finding a new unknown tenant. The periodic tenancy allows a degree of flexibility on both sides: the tenant can leave with a nominal notice period of 1 month and likewise the landlord can take back the property with a nominal notice period of 2 months. It’s your choice. Whether you as a landlord always allow tenancies to lapse into periodic ones, or you like to renew the tenancy agreement for a further fixed term, perhaps with a rent increase, it is a matter of choice and good business judgement.